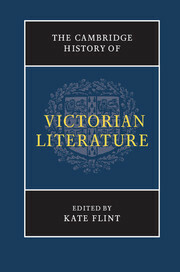 The New Cambridge History of English Literature is a series of reference works designed to offer a broad synthesis and contextual survey of the history of English literature throughout the major periods of its development. The organisation of each volume reflects the particular characteristics of the period covered, with a general commitment to provide an accessible narrative history. The History is designed to accommodate the range of insights and fresh perspectives brought by new approaches to the subject, without losing sight of the need for essential exposition and information. Each volume will include a chronology, extensive primary and secondary bibliographies, and a full index.